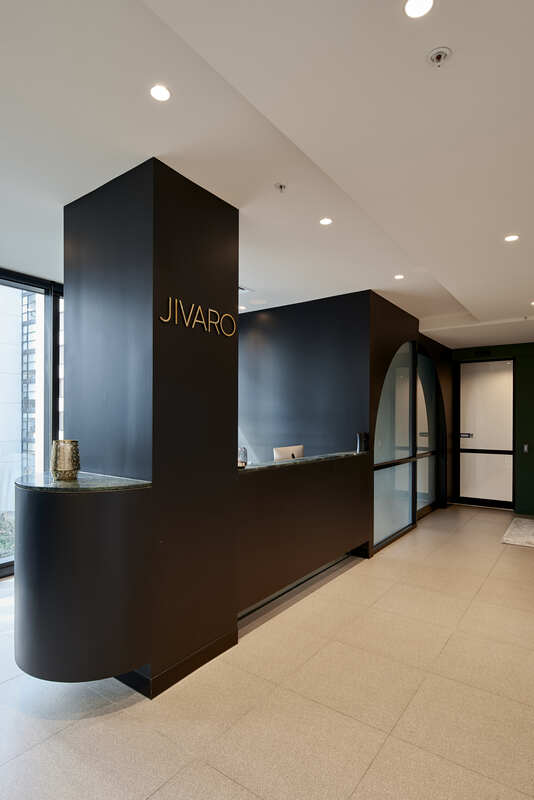 Jivaro is a fashion and retail recruitment agency that has built a reputation of sourcing exceptional candidates and matching them to their dream jobs. 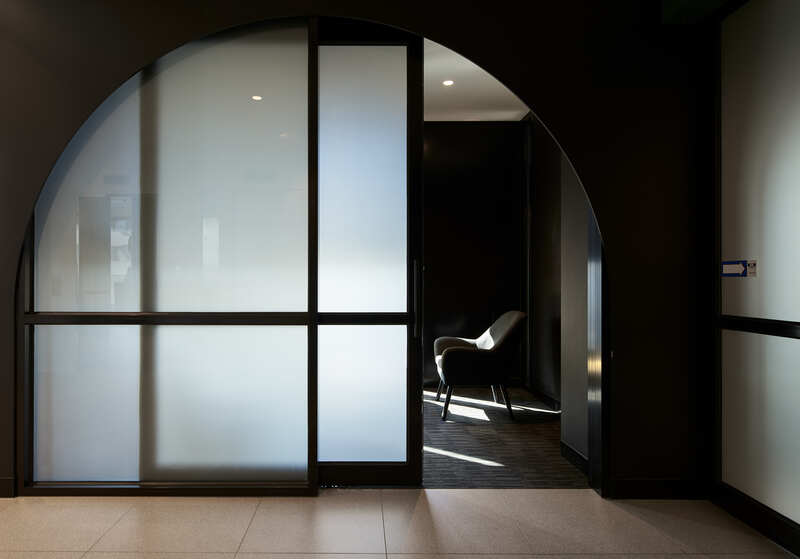 It was important that their head office in Melbourne reflected this. 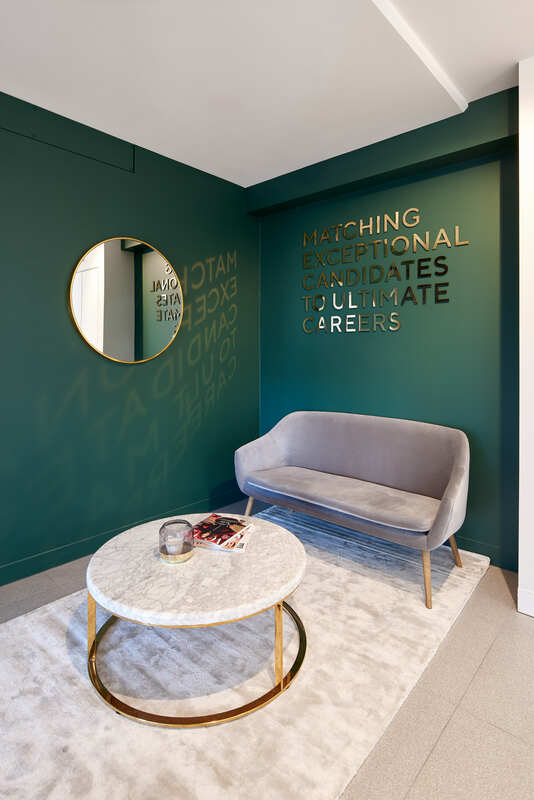 Featuring a strong colour palette of Dulux Oakbark paired with brass detailing on the signage & kitchen joinery alongside an olive green granite benchtop. 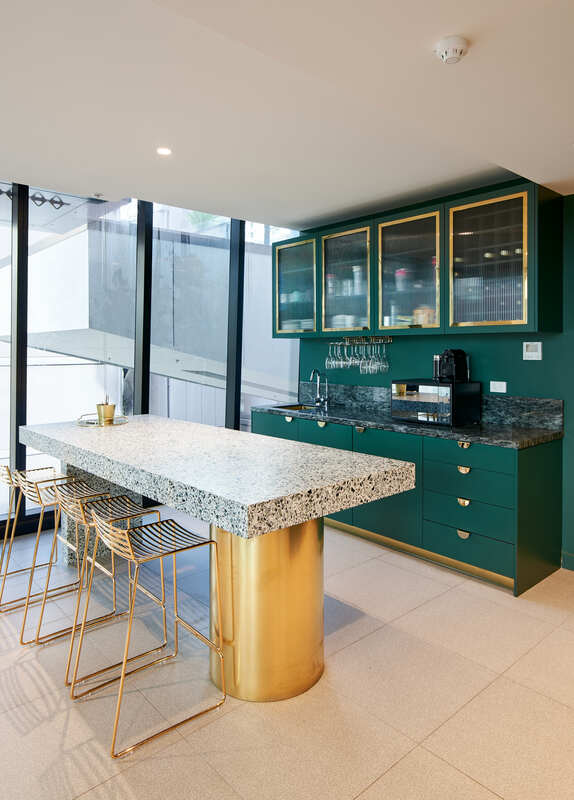 The terrazzo island benchtop in the staff kitchen perches upon a circular brass leg. 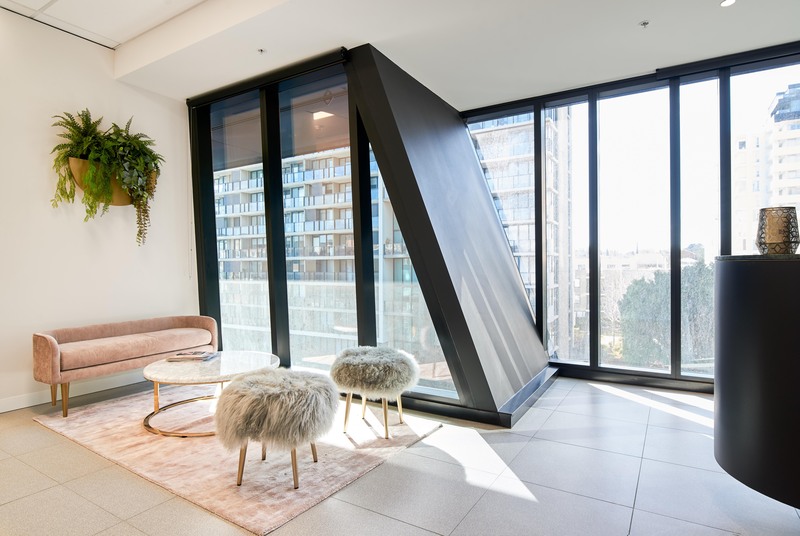 The bold scheme is softened by dusty pink upholstered furniture and light grey lamb’s wool ottomans.